The artist Sancia Munthree, born and raised in South Africa with an Indian ethnical background, started singing before the age of four. Music has always been part of her life and the talent lies in the family. Growing up she has parti- cipated in several school productions, which included singing, acting and even Indian classical dancing. After leaving South Africa the family moved around until finally deciding to settle down in Austria, where she completed high school and later attained a Bachelor degree in Business. Since singing has always played a major role to her, she has decided to pursue her dream as a singer/ songwriter in creating a style of music, which is a blend of Pop, R&B, Soul, Dance and European Bhangra in collaboration with one of Austria’s top artists and producer, Felix Okon a.k.a. B-Nice. The album titled Chasing Dreams includes the Hit single Casanova, which is a positive blend of dance, pop and a catchy summer groove. 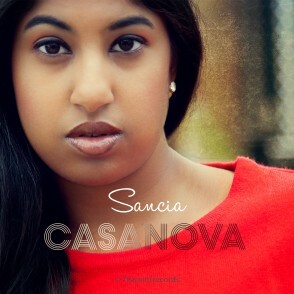 Sancia can be seen and heard in all major digital retail stores and on all music platforms worldwide.